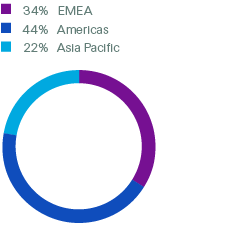 Reinsurance is Swiss Re’s largest business in terms of income and the foundation of our strength, providing about 85% of gross premiums and fee income through two segments — Property & Casualty and Life & Health. The unit aims to extend Swiss Re’s industry-leading position with disciplined underwriting, prudent portfolio management and diligent client service. Corporate Solutions serves mid-sized and large corporations, with product offerings ranging from traditional property and casualty insurance to highly customised solutions. Corporate Solutions serves customers from over 50 offices worldwide. 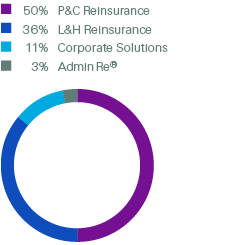 Admin Re® provides risk and capital management solutions by which Swiss Re acquires closed books of in-force life and health insurance business, entire lines of business, or the entire capital stock of life insurance companies. As of 1 January 2016, the open and closed life insurance books of the Group, including Admin Re®, are managed under a new Business Unit called Life Capital.